I'm getting an error about "Demo version" on the main screen, how do I get rid of it? Just go online (through WiFi or use the LAN adapter), then click on any website and the issue will be fixed. on 2010-12-27 09:48:08 An excellent product for my wife but we all love to use it! I got mine on Dec. 22,2010 for a Christmas gift. It is a great product with competitive price. The only thing the manual is hard to read. It should be larger. Everthing else works just great. 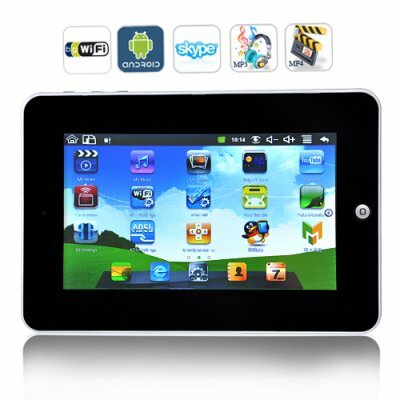 It is the best Android tablet on the market now. I need one for myself! Thank you for the fast shipment. It looks fine and the products is good for the money.